CENTRAL MEADOWS is located at 51 LORONG 34 GEYLANG in district 14 (Eunos, Geylang, Kembangan) of Singapore. CENTRAL MEADOWS is a Freehold Condo development consisting of 24 units. CENTRAL MEADOWS is completed / TOP in 2003 (estimated), developed by FRAGRANCE GROUP. Educational institutions like ETONHOUSE INTERNATIONAL SCHOOL, CANADIAN INTERNATIONAL SCHOOL (TANJONG KATONG), CHATSWORTH INTERNATIONAL SCHOOL (EAST), KONG HWA SCHOOL, GEYLANG METHODIST SCHOOL (PRIMARY) and MACPHERSON PRIMARY SCHOOL are near to CENTRAL MEADOWS. CENTRAL MEADOWS is accessible via nearby DAKOTA, ALJUNIED and PAYA LEBAR MRT Stations. Centrally located. 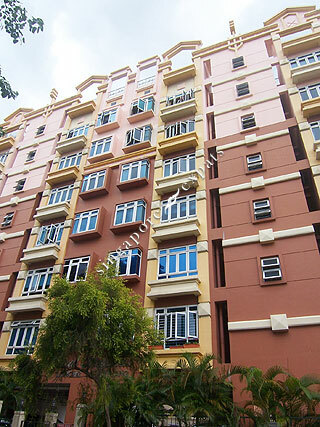 Walking distance to Dakota MRT (approx 7 minutes walk). Lots of excellent eating places around. And plenty of grocery shopping. hidden gem, this is the underdog of expat living!